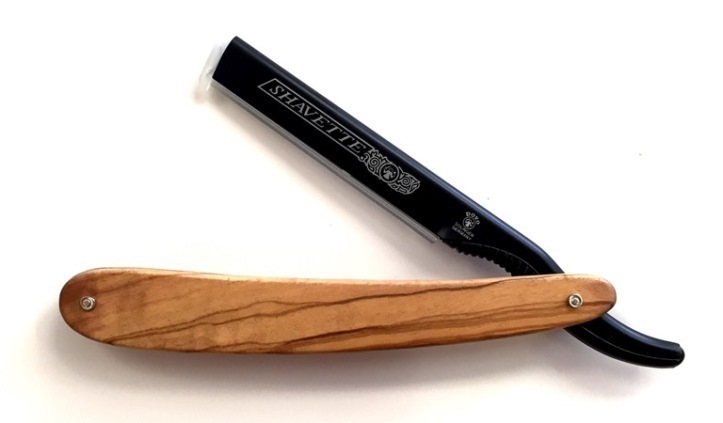 Black aluminum with Olive Wood handle Dovo shavette. Comes with 2 disposable long blade holder inserts (black) and 1 disposable short blade insert (clear). Use any double edge replacement blade for short blade or #2114 for long blade. Replacement blade holders sold separately: #1003 short blade holder (clear), #1004 long blade holder (black), #1002 long blade holder w/comb (black). Packaged in metal box.